BleepImplodes-Film Doesn't See the Heart-+Physics gets PHIlial-Fractally! 'Bleep' Implodes- Film Doesn't See the (Imploding) Heart. + Physics gets 'attracted' to the PHI-lial - Fractally! How Does the Bliss / Kundalini of Cellular Microwave (the 'MicroTubule') STEER THE WEATHER ? The GRAVITY of this weighs on me... Dan Winter"
... a sad confusion which apparently Stuart Hameroff admits: "The film attempts to link consciousness with the weirdness of quantum mechanics. " 2. Physics of Wave Harmonics Graphs - Proves- PHI Harmonics - interfering CONSTRUCTIVELY - not only explain the origin of Filial (PHI-lial) ATTRACTION - but probably GRAVITY itself. Lecture Tour News: - Special Note- Just Time to make the nice 2 day Educators Conference - Sponsored- LONDON SEMINAR- with Dan Winter - multiple BlissTuner / HeartTuner systems will be set up for personal experience - group biofeedback! How would it be to live in sustainable bliss? What would it feel like? What would you have to do to get there? ...and stay there? Is it even achievable for ordinary people? The answer is - yes. Bliss is a natural dynamic state or an affect. It is measurable. And as more people start living in bliss, it becomes easier for others to access it more consistently. Bliss can be shared. Bliss can ?infect others. COME AND LEARN - the scientific basis of bliss and its transformative power ? the link between bliss, learning and creativity ? the importance of bliss to health ? how to fine tune your heart to bliss and love ? to measure your bliss with the BlissTuner ? how to sustain bliss in everyday life ? how to create blissful / fractal environments ? self-steering and self-empowerment ? fractals, sacred geometry and practical applications for networking and business DAN WINTER has developed computer software (HeartTuner-BlissTuner which is the first real attempts of biofeedback to make love visible) which can not only provide an accurate measure of your internal state, it can also help you train yourself to achieve deeper states of bliss and to sustain the feeling as you go about your normal activities. You will definitely notice an improvement in your own life, and in the lives of people who come into contact with you. For more info visit: <http://www.goldenmean.info/> 170 Limited places, so its first come first served. HeartTuner News:- Special Arrangement for Researchers/ Teachers - has become truly an exciting and reasonable way to get involved! 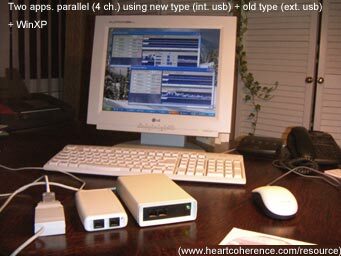 - contact: consultant@heartcoherence.com - NOW - includes complete 2 ch Heart and Brain (BlissTuner) System - plus ALL the training materials - now 12 DVD films - and 4 CD software set.. Waves approaching the quantum synapse of the brain participate in a 'universally COMMUNING (Implosive Fusion?) - bubble of charge? From the publicists for the film: "In the story, the protagonist, Amanda, played by Matlin, finds herself in a fantastic Alice in Wonderland experience. Her daily, uninspired life literally begins to unravel, revealing the uncertain world of "the quantum field." Physicists say this is the hidden world behind what we consider to be our normal, waking reality. Amanda is literally plunged into a swirl of chaotic occurrences, while the characters she encounters on this odyssey reveal the deeper, hidden knowledge she doesn't even realize she asked for. Like every hero, Amanda is thrown into crisis, questioning the fundamental premises of her life, ultimately discovering that the "reality" she has believed in isn't real at all! After this "awakening," she is no longer the victim of circumstances, but on her way to being the creative force in her life. Her life will never be the same. 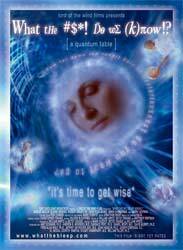 The fourteen top scientists and mystics interviewed in documentary style serve as a modern day Greek Chorus. Their ideas are woven together as a tapestry of scientific truth, pointing to the interconnectedness of all things. Through the course of the film, the distinction between science and religion becomes increasingly blurred, since we realize that, in essence, both science and religion describe the same phenomena. In the film "What the Bleep" - there is a sad amount of simple confused physics- and not really much clear thinking. For example - saying we make the world outside our body by creating an electrical picture (hologram) inside our head - ONLY has meaning IF the hologram inside is in fact in COHERENCE (in phase) and FRACTAL (attracting charge). This is how the hologram inside your head gets a chance at sharing charge (REALITY) with what is outside your head. ( See: "From HOLLOWgram to Hologram" in Dan Winter's first book: Alphabet of the Heart) . By NOT understanding or teaching this physics - that the inside MUST be in phase ( and ultimately FRACTAL ) to what is OUTSIDE - the film merely invites a kind of schizophrenia about - what is more real - my dreams or my day. In this state - the dreamer- wakes up thinking he/she has come out of dreaming - only to go into a deeper dream. If physics is to get out of this dream- the WAY charge is attracted to the inner 'holographic brain' will HAVE to be understood as implosive fractal attraction ( bliss / creativity - biofeedback MEASUREs this). Notice the similarity between the above vs. - the article exerpts on the bottom here - (thanks to Paul Ramirez - phinuic@gmail.com for bringing these articles to our attention). Next we turn back to the What the Bleep film. Paul R. (above) kindly forwarded the correspondance with Stuart Hameroff (his letter below) - who appeared in the film, and we have known for some time. My simplified understanding of Stuart's work centers around the sub-cellular MICROTUBULE as a mechanism of consciousness. (as in his letter) . Speaking of WAVE GUIDES for the miraculous! I know that Stuart rather dismissed an earlier email in which I included the picture from Michael Heleus suggesting that the concentric rings in many micro tubules may approximate Golden Mean ratio RADII self similarity. ( Implosion / Fusion / Collapse / Scale Invariance .. hint .. hint.. ) . I suggest it may be time to reconsider..
seems to be the limiting factor in science's (AND THE BLEEP MOVIE's) progress in describing the electrical nature of life AND CONSCIOUSNESS itself. By missing IMPLOSION - as literally the WAVE MECHANICS of FUSION - the Heart of all biology - the movie - WHAT THE BLEEP - seems to me to be largely an embarrassing demonstration of just how confused western science currently is about the FRACTAL SYMMETRY OF CHARGE (and perfected charge distribution that results) which is the very definition of LIFE AND CONSCIOUSNESS. a decade ago by British physicist Sir Roger Penrose and me. bits (qubits) in quantum computers. quantum computations mediating consciousness in neuronal dendrites. or longer at brain temperature. consciousness while nonconscious brain activities continue (e.g. glia) into large-scale syncytia, or "hyper-neurons". conventional dogma as well as to upstart hypotheses. by Gariaev and Poponin . positively identified using standard optical techniques. description of the experimental set up and conditions will be helpful. with two different frequencies of laser radiation. fulfilled which are specified above. Exerpt:" The human DNA is a biological Internet and superior in many aspects to the artificial one. The latest Russian scientific research directly or indirectly explains phenomena such as clairvoyance, intuition, spontaneous and remote acts of healing, self healing, affirmation techniques, unusual light/auras around people (namely spiritual masters), the mind's influence on weather patterns and much more. In addition, there is evidence for a whole new type of medicine in which DNA can be influenced and reprogrammed by words and frequencies WITHOUT cutting out and replacing single genes. Only 10% of our DNA is being used for building proteins. It is this subset of DNA that is of interest to western researchers and is being examined and categorized. The other 90% are considered "junk DNA. The Russian researchers, however, convinced that nature was not dumb, joined linguists and geneticists in a venture to explore those 90% of "junk DNA". Their results, findings and conclusions are simply revolutionary! "Living chromosomes function just like solitonic/holographic computers using the endogenous DNA laser radiation." This means that they managed, for example, to modulate certain frequency patterns onto a laser ray and with it influenced the DNA frequency and thus the genetic information itself. Since the basic structure of DNA-alkaline pairs and of language (as explained earlier) are of the same structure, no DNA decoding is necessary. One can simply use words and sentences of the human language! Garjajevâ´s research group succeeded in proving that with this method chromosomes damaged by x-rays for example can be repaired. They even captured information patterns of a particular DNA and transmitted it onto another, thus reprogramming cells to another genome. So they successfully transformed, for example, frog embryos to salamander embryos simply by transmitting the DNA information patterns! These are tunnel connections between entirely different areas in the universe through which information can be transmitted outside of space and time. The DNA attracts these bits of information and passes them on to our consciousness. This process of hypercommunication is most effective in a state of relaxation. Stress, worries or a hyperactive intellect prevent successful hypercommunication or the information will be totally distorted and useless. In nature, hypercommunication has been successfully applied for millions of years. The organized flow of life in insect states proves this dramatically. Modern man knows it only on a much more subtle level as "intuition". But we, too, can regain full use of it. An example from Nature: When a queen ant is spatially separated from her colony, building still continues fervently and according to plan. If the queen is killed, however, all work in the colony stops. No ant knows what to do. Apparently the queen sends the "building plans" also from far away via the group consciousness of her subjects. She can be as far away as she wants, as long as she is alive. In man hypercommunication is most often encountered when one suddenly gains access to information that is outside one's knowledge base. Such hypercommunication is then experienced as inspiration or intuition. The Italian composer Giuseppe Tartini for instance dreamt one night that a devil sat at his bedside playing the violin. The next morning Tartini was able to note down the piece exactly from memory, he called it the Devil's Trill Sonata. Abstract: This paper presents a plausible theory of quantum holography to explain heretofore unexplained non-local events and by revealing new empirical evidence documenting the existence of such effects on a macro-level. Keywords: holography, distributedness, DelaWarr, fMRI. exists among macro-scale physical objects. universe, possesses what appears to be an undeniable "holographic"
binding networks of semiotic languages in the brain. consists of a much more knotty topology. binding network that produces sentient behavior. from initial cortex receptor sites is posited. information expressed in the electromagnetic field - learning. for sensory to sentient computation. 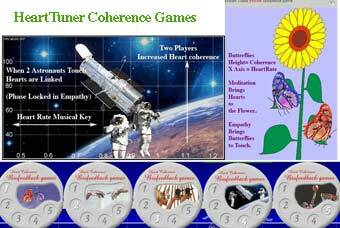 .....exerpted -- more at link above..
necessary to synchronize human mental and machine logic interactions. The influence of Peirce's work in the late 1800's, recompiled by Dr.
generation of Genetic Algorithms and Adaptive Complex Systems. Ashby and Weiner, Persinger, Changeux and D'Arcy Thompson, and of D.L. can tailor specific mind/brain semiotic-sentient solutions. Toward a 21st Century Model." supporting the maturation of the Sentient Machine Laboratory (SML). a set of images that form an alphabet for visual language. externally our sense of reality and purpose - our personal signature. perceive it is hearing real sounds. with connections to the rest of the brain - Area 18.
visual reality for dissemination to other regions of the brain. are acting without our volitional cognition. alphabet of images in the brain. Possess the Power of It." Possess the Power of It. is subject to modification both internally and via external sources. computing requirements of the 21st Century. most useful real world or internally semiotic generated information. and the eventual stage of final pruning - natural down selection. better extract and enfold upon information from the environment. cultures bind into purposeful patterns of behavior. semiotic processes of the brain.